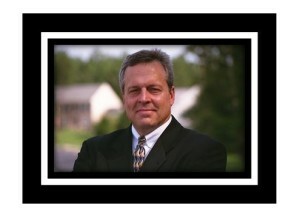 Hi, I am Rick Saunders of Mortgage Center of America, established in 1996. 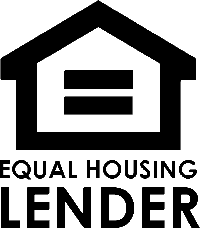 We help you save money by having lenders compete for your mortgage loan. We know that when Lenders compete you save! 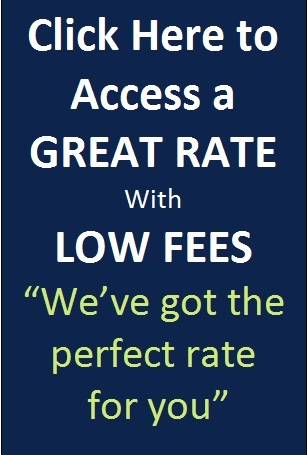 That’s exactly what we do for you; we provide you the access you deserve to the wholesale mortgage market of Virginia. Why go to one retail lender when we can place your loan in front of numerous retail lenders? This competition for your loan drives your rate down. Our existing clients think we are very good at it and we know you will too. We are conveniently located in Fairfax, VA and are licensed to serve the entire state of Virginia. Call us today at 703-281-RICK (7425). We know that when Lenders compete you save! Access you deserve to the wholesale mortgage market! at 703-281-RICK (7425) to see how we can help you. Thank you. As Fairfax VA mortgage brokers, we are frequently requested to meet the mortgage needs of the surrounding area. We are regularly called upon as the Arlington VA mortgage brokers of choice too. Our expertise and a broad spectrum of Mortgage Broker services have converged with the rapidly growing Loudoun County VA mortgage broker and Prince William County VA mortgage broker business. As a Fairfax Virginia mortgage broker, the centrality of our Fairfax Virginia location strengthens our position to provide you the best reverse mortgages in Virginia also. Because Fairfax, VA is located close to the Nation’s Capital, we have the additional privilege of serving our country’s finest, the American soldier. An example of this is the Arlington, Virginia home loans market. While Veterans are located throughout the area we are so pleased to answer all the mortgage questions and meet the mortgage needs of our veterans and civilians. Whether it is a request for Arlington VA mortgage loans or a mortgage need anywhere else in Virginia we are happy to serve. From Fairfax VA mortgage rates to being Jumbo Loan Mortgage Brokers or providing rates and terms for the extraordinary FHA 203k streamline loans; we are here to serve all of your mortgage needs. By refinancing your loan, your finance charges could be higher over the life of the loan. Call us at 703-281-RICK (7425) if you are in the market to finance or refinance a Virginia mortgage loan. Speaking of Jumbo Loans, Rick Saunders and John Mokbel enjoy the opportunity of competing for this highly competitive Jumbo Loans market. We are just as committed to being the first choice of consumers and the real estate community regarding the Jumbo Loans market. We are ready to serve the McLean, Virginia Jumbo Loans or the Great Falls, Virginia Jumbo Loans market or any Jumbo Loans anywhere throughout the Commonwealth of Virginia. Call us at 703-281-RICK (7425) for a Jumbo Loans rate quote. You will be glad you did. The Northern Virginia area is really booming and new homes are going up throughout the area. We offer new homes loans too. An example of this is the Vienna Virginia new homes loans market. Wherever your Virginia new home is located we are ready to help you finance it or your existing home purchase also. We can also assist you with obtaining a Cash-Out Refinance on an existing home to make the new home financing easier on your cash flow. Another example of our booming Virginia mortgage industry is the popularity of our Virginia FHA Loans. We utilize numerous mortgage loan programs today including but not limited to VA, FHA, Conforming, High Balance and Jumbo Loans to finance or refinance all of our clients Virginia homes, townhomes or condos. We provide you the very best mortgage loans available for your residential or commercial purchase or refinance! This is by no means exhaustive but an overview of the tremendous wholesale mortgage market we enjoy providing our clientele money-saving access to; call us today at 703-281-RICK (7425) to bring you closer to home.